Cats meow to people because they're trying to tell them something, but rarely meow to other cats. Cats have their own language that we can observe but not necessarily participate in. Unfortunately, sometimes pet owners don't quite understand what their cat is really trying to say. 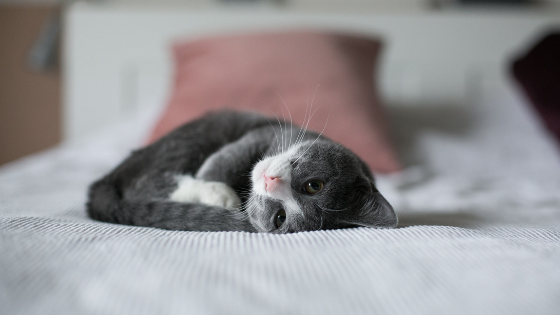 To form a better relationship with your pet in the apartments in Northridge, you may want to get more familiar with the patterns your cat's meows are presenting. Kittens will meow whether people are there or not because they're trying to get the attention of their mother. However, once they reach the point where they don't need their mother to care for them, they stop. Because you've essentially stepped into the role of caregiver, grown cats will essentially meow to you to show that they need something. Cats communicate with other cats via both scent and body language, but these more subtle cues can be harder for people to pick up on. Short and high-pitched: Casual greeting. Mid-pitched: Begging for food, attention, etc. Drawn-out: A demand for food, attention, etc. Low-pitched: Pointing out your mistake. High-pitched distressed: Cat is signaling anger or pain. Cats meow a lot when they think it will get them what they want. If your cat is constantly bugging you, it's important to stand your ground. Loud meows aren't just a source of frustration when you're trying to go to sleep, but they can also puncture the walls of Northridge apartments and reach the ears of your neighbors. Knowing your cat is the key to having a good relationship, and part of that is providing the right environment. If you want to learn more about how Candlewood North can help you find the perfect new home for you and your pet, give us a call today.